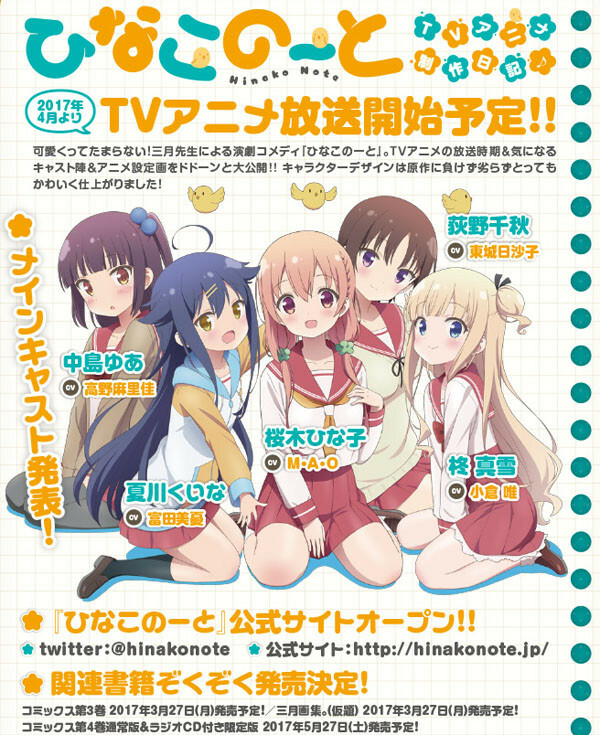 Crunchyroll - M・A・O and More Join the Cast of "Hinako Note"
M・A・O and More Join the Cast of "Hinako Note"
The main cast and a new key visual (below) have been revealed for Hinako Note, an upcoming TV anime based on the humorous 4-panel manga by Mitsuki about a shy high school girl and her strange friends. 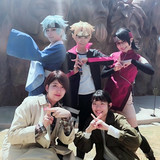 Miyu Tomita as Kuina Natsukawa. Yui Ogura as Mayuki Hiragi. Hisako Tojo as Chiaki Ogino. Marika Kōno as Yua Nakajima. And Yuri Yoshida as Ruriko Kuroyanagi. 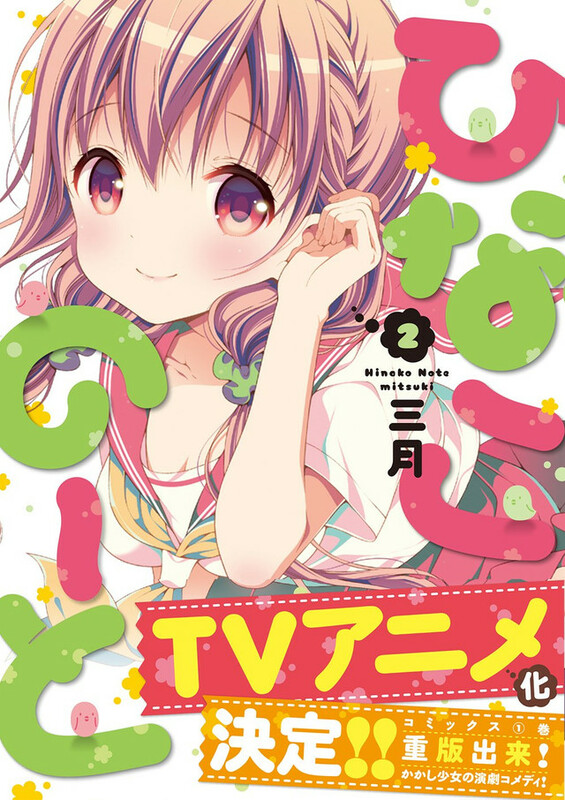 The story of Hinako Note follows the titular Hinako, a girl who is not very good at talking to other people. 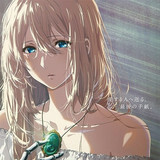 However, Hinako is so good at communicating with animals that the people of her hometown use her as a scarecrow. 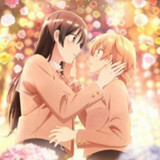 In high school, Hinako moves to the big city and decides to join the drama club to deal with her communication issues, but she finds herself in a strange setting: her boarding house is a used book store, and her new best friend is a beautiful girl who eats books! 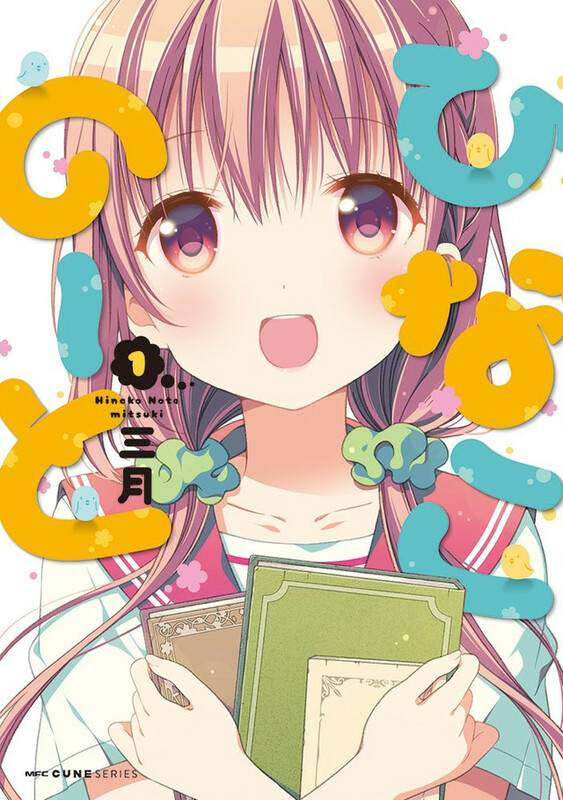 The original Hinako Note 4-panel manga is serialized in Kadokawa's Monthly Comic Cune seinen manga magazine. 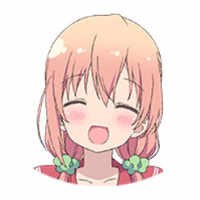 The Hinako Note TV anime is directed by Takeo Takahashi and Toru Kitahata and features animation by Passione. 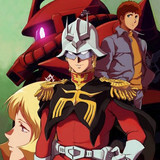 The series begins its Japanese broadcast in April of 2017.